Since April 2004 we have developed and maintained an observing system for the meridional overturning circulation (MOC) at 26.5°N in the Atlantic. This site provides an overview about the methodology and the ongoing fieldwork as well as downloadable datasets. Data are now available from April 2nd 2004 to February 2017. 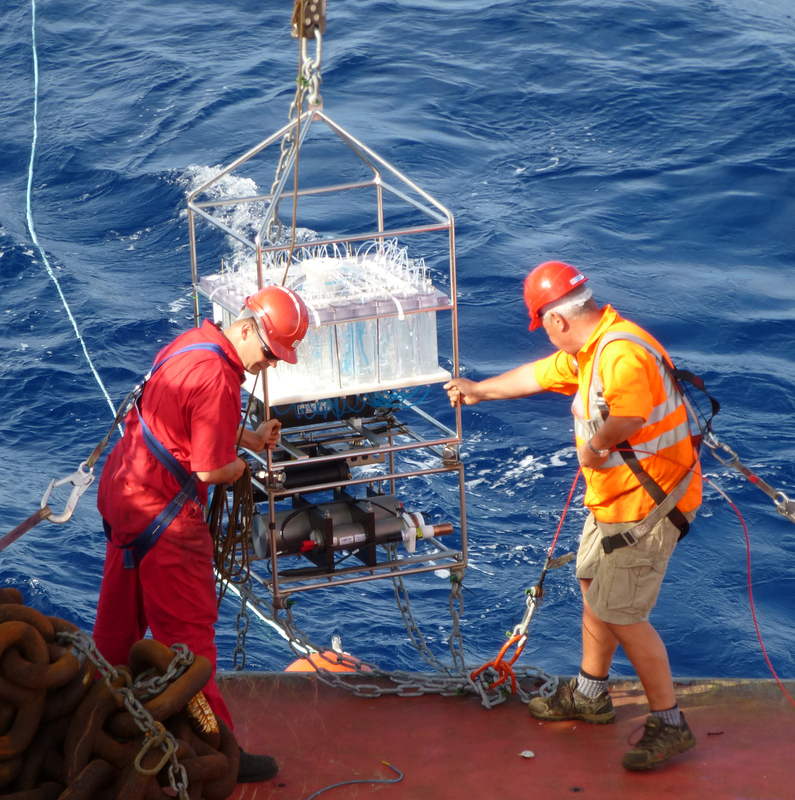 Overview presents the RAPID array and the method used to compute the AMOC. News contains the latest news about cruises and AMOC meetings. Fieldwork provides a description of the moorings and the hydrographic sections. Publications lists all the RAPID-related papers produced by the 26°N team. People presents the NOC researchers and collaborators involved in the RAPID project. Finally, the Data section describes the different types of RAPID data types and allows you to download the data sets.